Martin Amlôt was born in the Wirral in 1947. He was educated at the King’s School Chester and the Royal Military Academy Sandhurst. He served with the King’s Regiment and in Army staff appointments in Great Britain, the Caribbean, Germany, Canada, Norway, Hong Kong, the Falklands, Kenya, Ulster and the United States. He was Second in Command of 1st Battalion the King’s Regiment in the late 1980s and he commanded the Territorial Army Battalion of his Regiment during the post Cold War ‘Options for Change’ reorganisation of the TA. He was appointed OBE at the end of this tour. His last regular army posting was as Secretary to the Commanders in Chiefs’ Committee (Germany). He left the Army in 1994 and became a Civil Servant in the Ministry of Defence, running the home headquarters of the King’s Regiment. He held this post for 12 years. In 2006 a new, much larger Regiment was formed, the Duke of Lancaster’s Regiment. Remaining in the Civil Service, Martin Amlôt was appointed to run the home headquarters of the new Regiment. The Mayor and Mayoress of Sefton for 2018/19 are Councillor Dave Robinson and his wife, Mrs Wendy Robinson. The Mayor, Councillor Robinson and his wife Wendy (Mayoress of Sefton) have been married since 1987. They have two sons and one daughter and have two grandchildren. 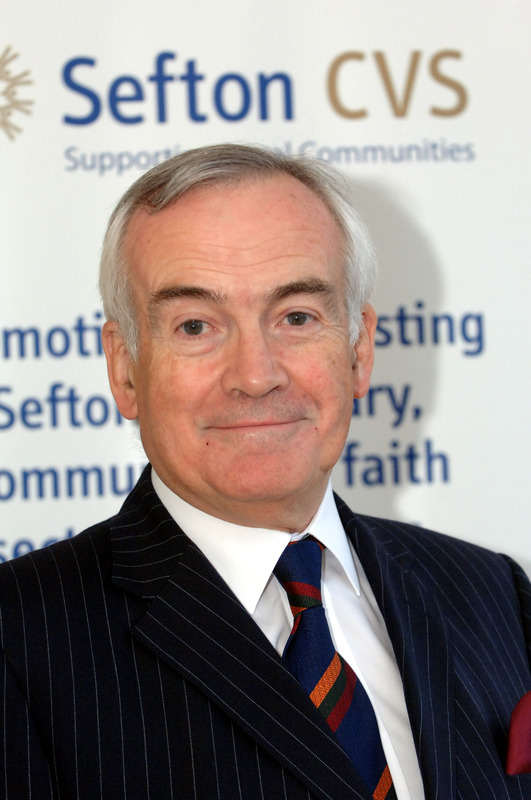 The Mayor, Councillor Robinson was a Fireman within the Merseyside Fire & Rescue Service from 1978 to 2010, he has been a Councillor for Derby Ward since May 2011, and he is also a Church Warden at Christ Church in Bootle. The Mayoress currently works as a Care Worker and has been for the past 5 years. The Mayor’s interests include studying local history, travelling, reading and they both enjoy looking after their two grandchildren. Councillor Robinson began his second term as Mayor of Sefton on May 17, 2018.